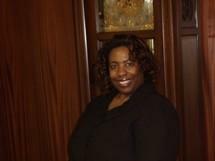 I am a Missouri Attorney with over twenty years of experience in various areas of the law. My legal experience has afforded me the opportunity work in criminal, civil, family, municipal, traffic, probate and federal courts. I am an attorney that individuals can feel comfortable contacting whatever their legal need is and working with me to get that need met. I am also a Christian that is active in ministry.